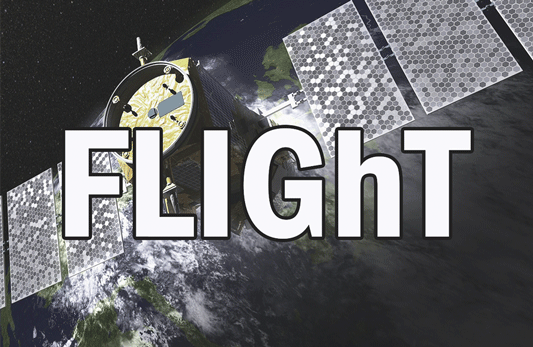 FLIGhT (Flexible environment for GNSS Testing) aims to design and develop an adaptive and flexible software application that will integrate a variety of apparatus to create a complex test environment for GNSS receivers. The crucial point is to make the application capable of testing many different types of GNSS receivers. Meaning of the project: The software developed by Astri Polska will be used for space-grade GNSS receivers testing. The test will be held at European Navigation Laboratory which is a part of ESA ESTEC Research Centre. FLIGhT will make it possible to integrate different types of testing equipment including GNSS signal emulators, power supply systems and different kinds of interfaces. GNSS receivers tested by the software developed by Astri Polska will be installed at Earth observation satellites (LEO orbit), navigation satellites (MEO orbit), telecommunication satellites (GEO orbit) or space launch vehicles. The project is funded by European Space Agency within the Polish Industry Incentive Scheme programme. The view expressed herein is an Astri Polska promotional information and can in no way be taken to reflect the official opinion of the European Space Agency.